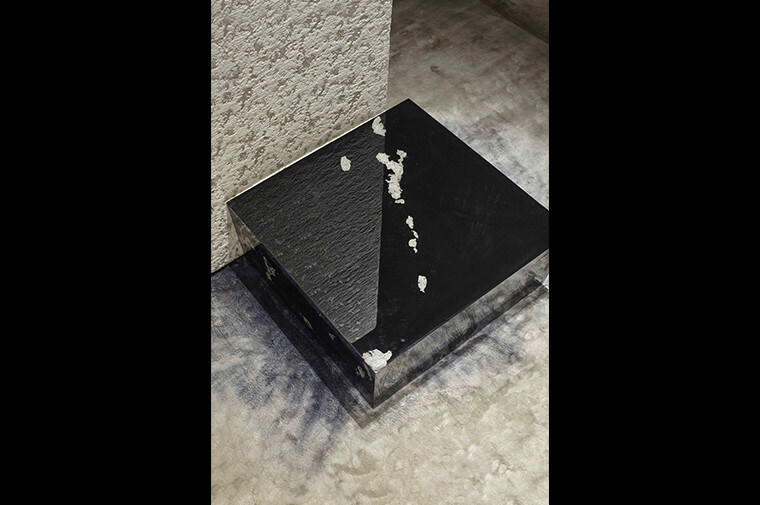 | Salon de Perception | , an abstract sculptural installment exhibited at AD Intérieurs 2015 was conceived by Gwenael Nicolas of Curiosity, a multidisciplinary studio based in Tokyo. 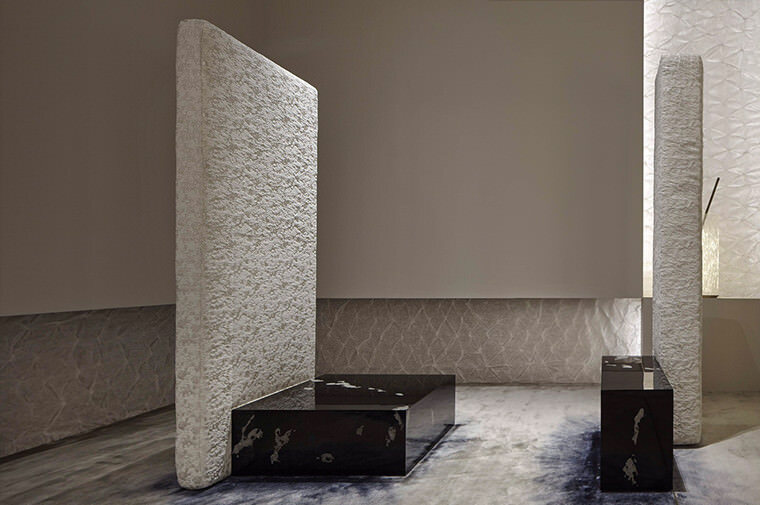 Delicate illumination exposed monumental elements intricately interacting within a landscape like interior, inviting for viewers to reflect upon the existing conception of furniture and the composition of a living space. 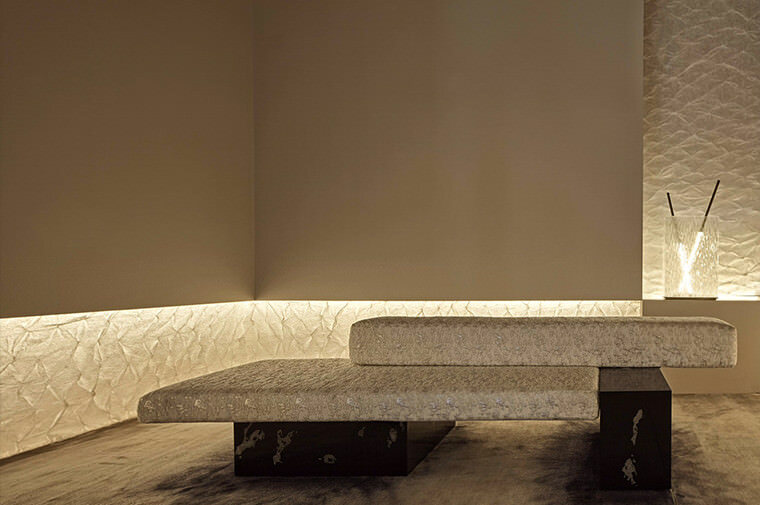 HOSOO fabrics were upholstered onto monoliths, adding a great complexity and depth to the apparently simplistic structure. 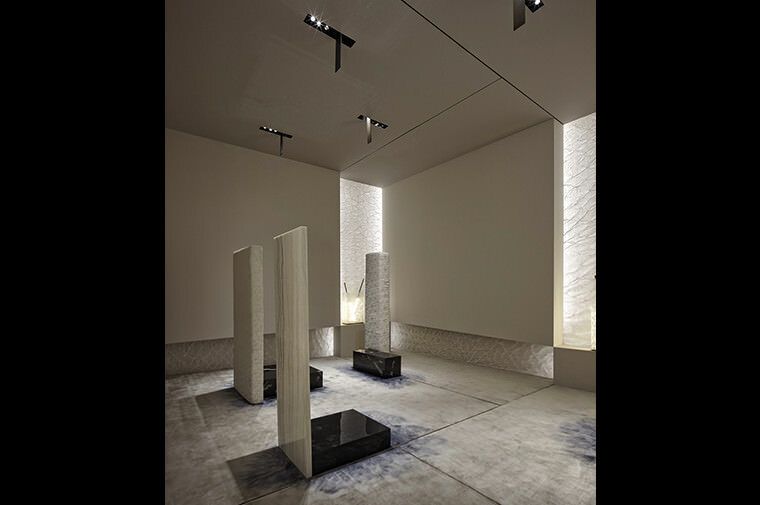 Salon de Perception was also installed at Salone del Mobile.